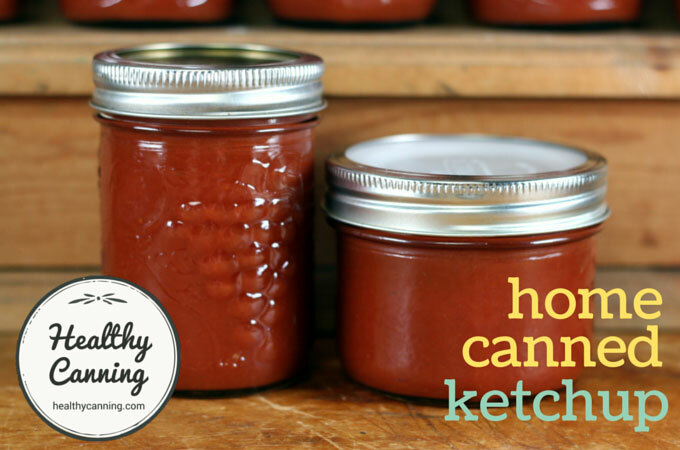 This ketchup recipe is great for the times of the year that fresh tomatoes are so dear that it just doesn’t make sense to even contemplate spending a small fortune just to boil them down for ketchup. 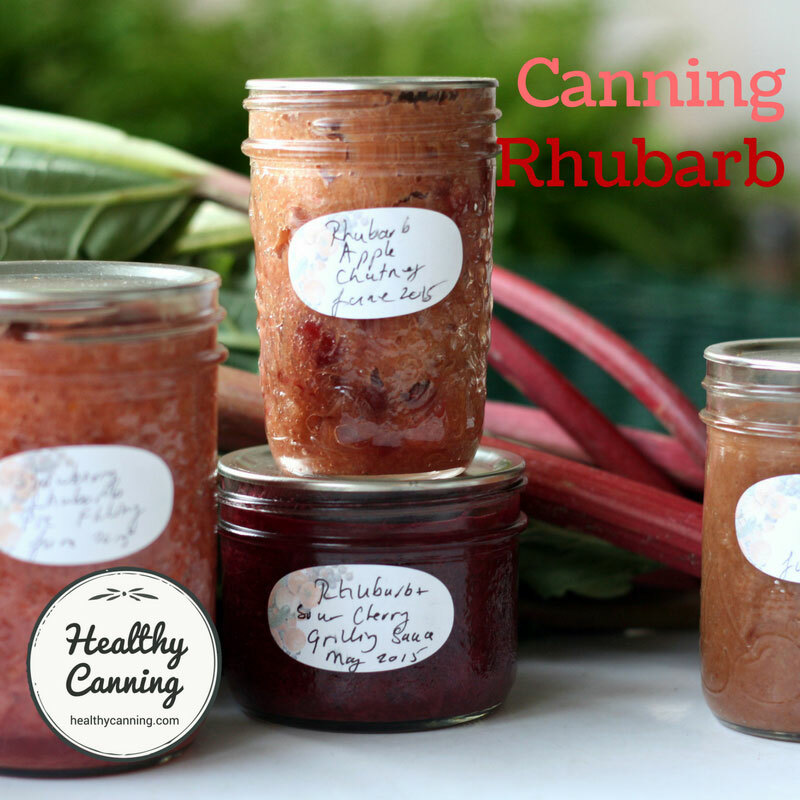 This recipe is based on a Bernardin recipe. 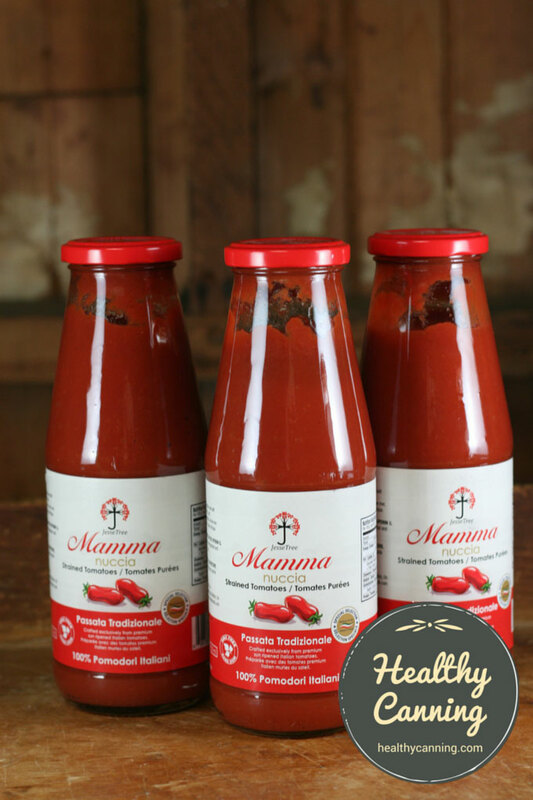 The change we’ve made is that instead of the first step being to make a base tomato sauce from scratch by boiling down tomatoes, the base sauce is procured by open jars of an Italian secret for such tomato sauce called “passata” and then the recipe is proceeded with exactly. 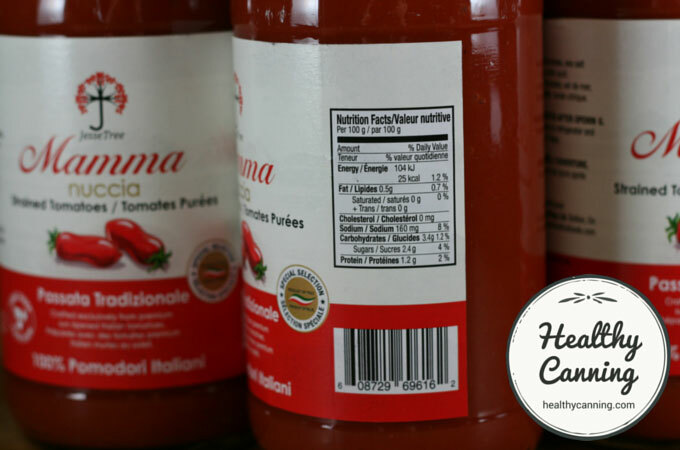 Passata is a thick, pure fresh tomato purée, just exactly what you would get by boiling down pure tomatoes. 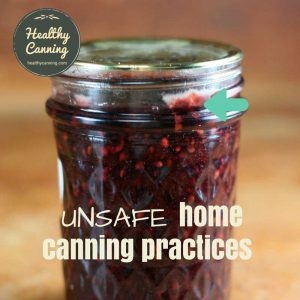 The safety of the recipe is not compromised. 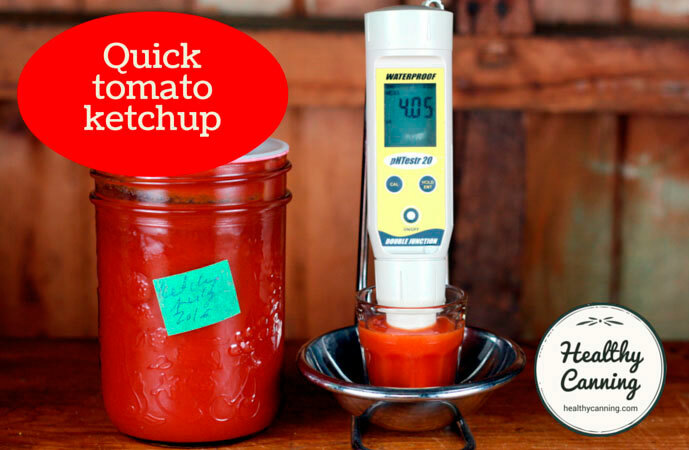 The ketchup ends up with a very low pH — we found lower than when we made the recipe with whole tomatoes from scratch. 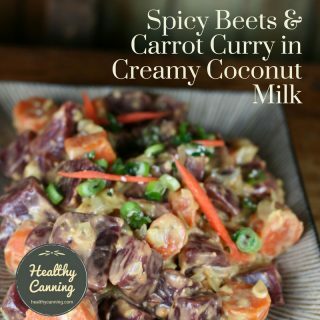 You can make this recipe with sugar and salt (21 calories, 271 mg sodium per 2 tablespoons) or, sugar and salt free (11 calories, 53 mg sodium per 2 tablespoons). 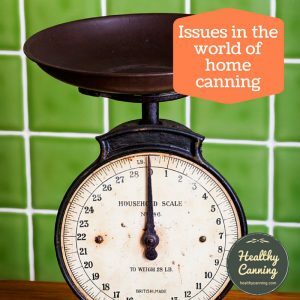 Feel free to vary the seasoning (yes, it’s safe to vary dry seasonings in home canning recipes) but do not decrease the amount of vinegar or increase the amount of tomato as that will affect pH which is important for safety. 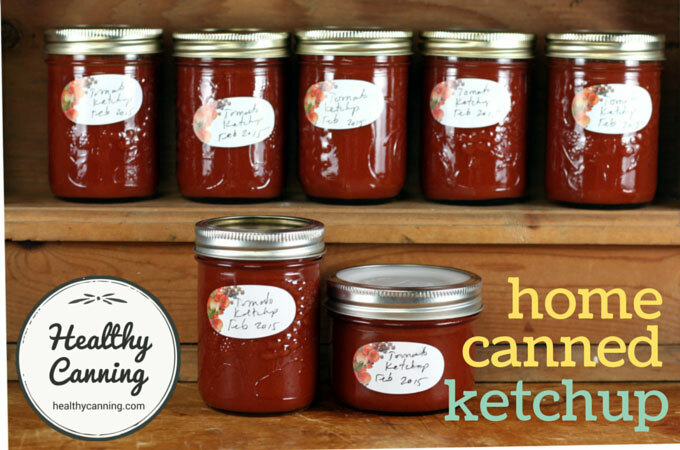 Here’s a recipe to make ketchup from scratch. 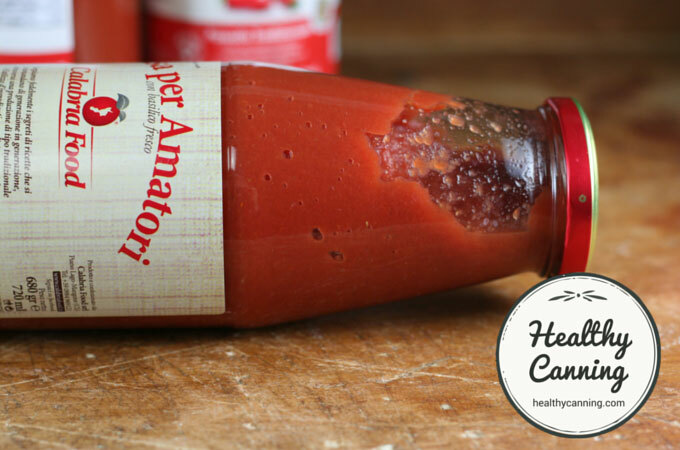 Note that the first few steps of such recipes have you make your own passata tomato sauce, which you then make the ketchup from! 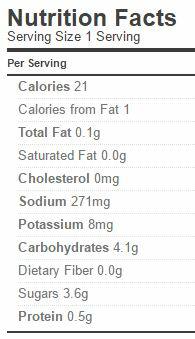 What changes can I get to get my ketchup the way I like it? Empty the passata tomato sauce into a large pot. Remove carefully from microwave, watching for liquid surge. Stir, then remove and discard spice bag. Whisk mustard, garlic, onion powder, cayenne pepper either sugar OR stevia, and either salt OR salt sub into the vinegar. Add vinegar to the tomato sauce. Bring to a boil, lower right away to a simmer, let simmer slowly for about 20 minutes until the ketchup reaches the thickness you desire on a spoon. It should be able to form a slight mound in a spoon. Passata jars seem to range from about 680 ml to 720 ml… any size in that range is fine. 3 x 720 jars of passata will come to 2.1 litres, but that’s fine to be over a tidge, just use them all. After emptying the jars, put the caps back on, and stand them on their heads for a few minutes to let more tomato sauce drain into the top, then add that to the pot as well, so you are not wasting any. 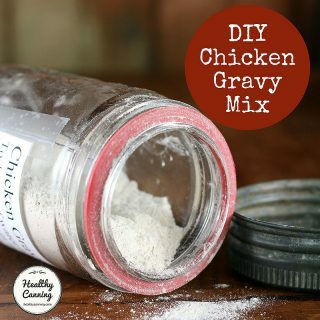 Whisking the mustard, garlic and onion powders into the vinegar helps to avoid annoying clumps in the tomato sauce that you have to hunt down with the back of a spoon otherwise. 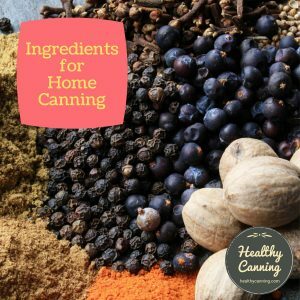 To help the thickening simmer be more effective, use as wide a mouth pot as you can — such as a Dutch oven, for instance. If you double or triple the recipe, the thickening time will be longer. Bear in mind as well that the tomato sauce will thicken more when it cools. 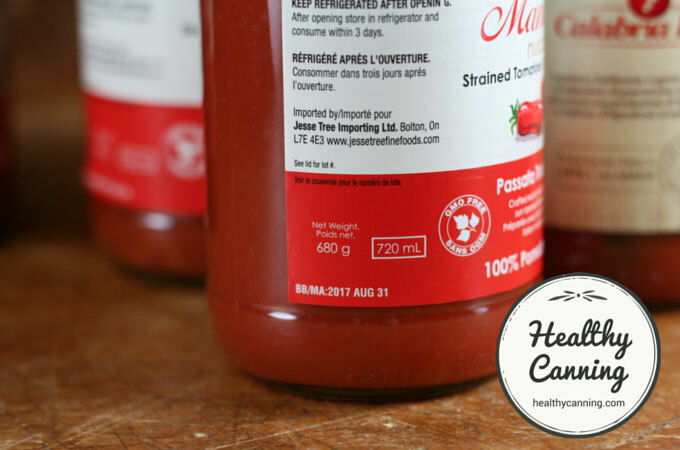 As a rule of thumb, to acidify a tomato product with vinegar, you use a tablespoon per cup (250 ml / 8 oz). 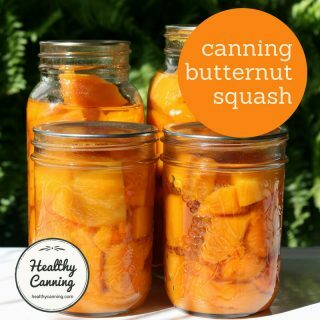 This recipe, based on Bernardin, supplies 3 times that per cup, knocking it well and truly into the safe range. For every multiple that you increase the batch size by, you will probably want to add another 20 minutes simmering time. E.g. if you triple the batch, you likely should plan to let it simmer for 3 x 20 minutes, that is, 60 minutes. 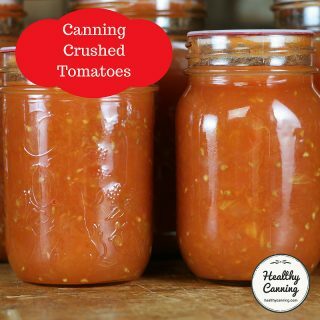 In general, the National Center for Home Food Preservation doesn’t like us starting recipes from processed containers of tomatoes; they prefer we start from fresh when fresh is called for. The reason, they say, is that the pH could be different. 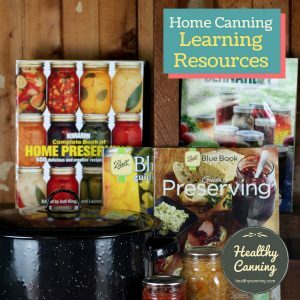 However, given that since 1988, with the first USDA guide, we have been taught to treat ALL tomatoes as though they have a low pH, and given that all tested recipes from reputable sources have you acidify the tomatoes anyway, and given that this recipe in particular has a load of vinegar added (resulting in a pH of 4.05 on the finished product), this is going to be our one act of rebellion in using passata. Intellectually, it would make zero sense to issue any caution about using it in a ketchup recipe with so much vinegar added. Still, we acknowledge the transgression. Passata is pure tomato that has already been strained and thickened for you; look how thick this is. This passata is basically already ketchup without the flavouring. Unless you have access to free tomatoes, it’s usually cheaper to make tomatoes from this instead of from fresh, and you can’t taste the difference. Nor is there any safety difference: we’re still following a lab-tested recipe, we’re just skipping the step of making the sauce base, and buying it instead. 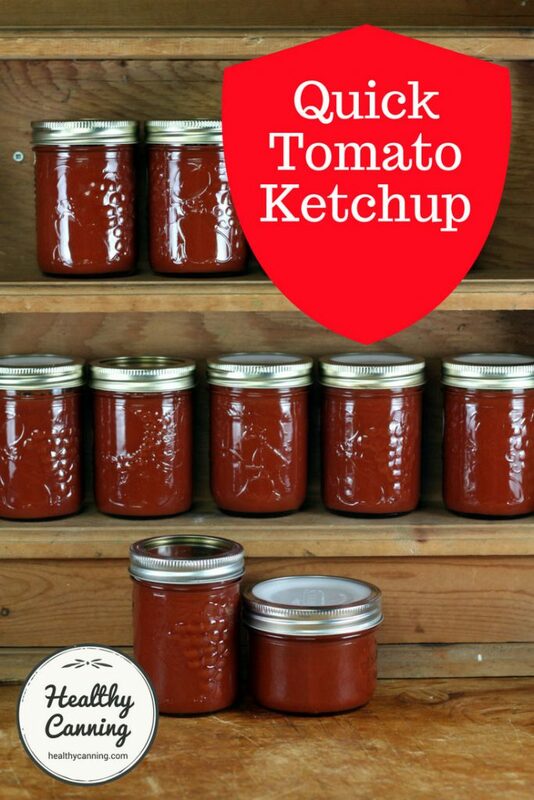 Source: Tomato Ketchup. 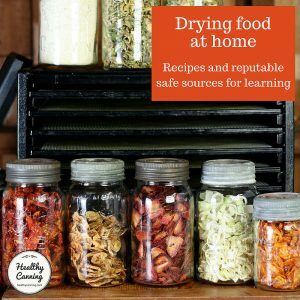 In: Bernardin Guide to Home Preserving. Toronto, Canada: Bernardin Ltd. 2013. Page 80. Added mustard powder and garlic powder. You may increase or decrease the sweetness or the salt. That will not impact safety. You may vary the dry seasoning. You may decrease the onion, but do not increase it as that would decrease the acidity. 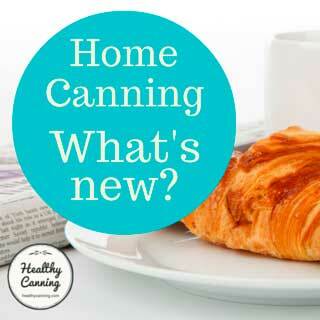 For the same reason, do not add any other fresh vegetable such as celery or green pepper. Do not decrease the amount of vinegar. You may use any type of vinegar you wish, but keep the strength at 5% or higher. 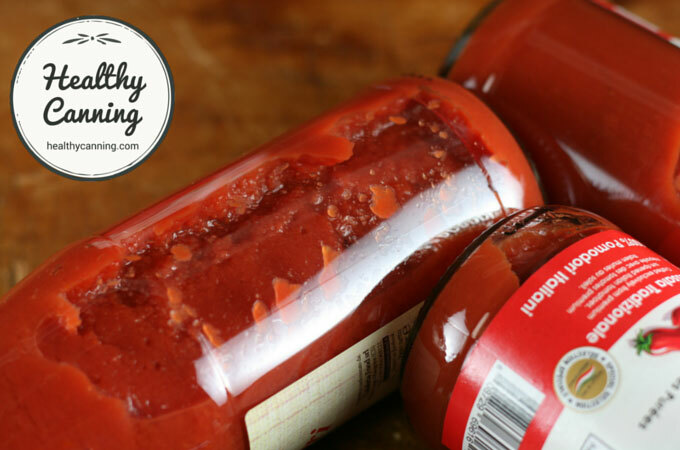 Essentially, ketchup is about sweetness, saltiness and dry spicing anyway, and thankfully you may vary those without impacting safety to work towards a ketchup that you like best. 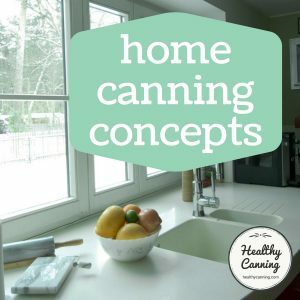 If you want a recipe that uses different fresh ingredients or a different amount of vinegar, then you really are after another recipe altogether. 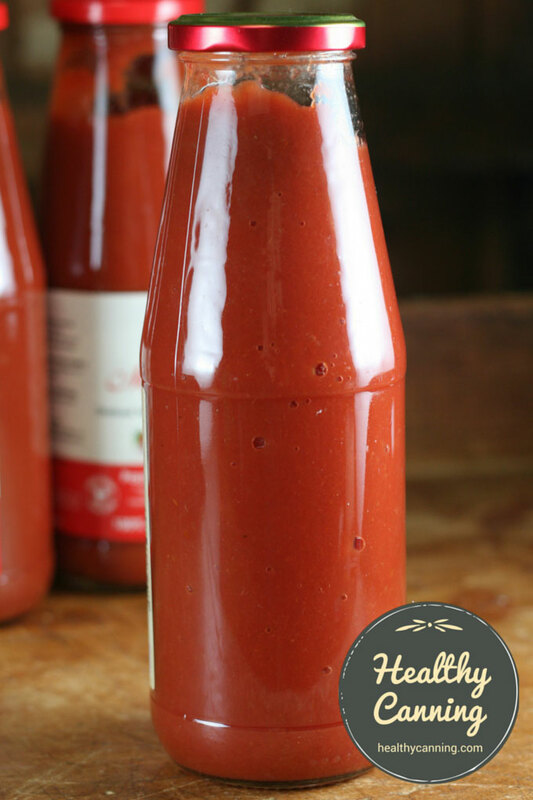 There are many different recipes for tomato ketchup: look for a tested recipe from a reputable source such as Ball, the USDA, Canadian Living or your local University Extension Service. 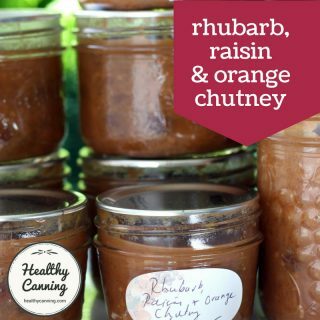 Do not use unsourced recipes found on the Internet or blog sites as they could be unsafe. No one wants to be dipping his / her French fries into a side dollop of botulism. 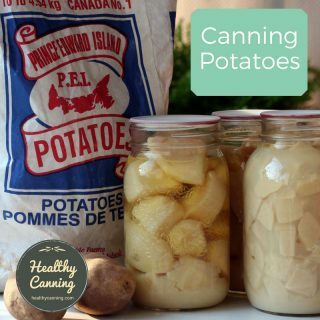 If you don’t want to can this recipe, you may also freeze it in containers for long-term storage. Weight Watchers PointsPlus®: 1 to 5 tablespoons, 0 points; 6 to 15 tablespoons, 1 point. Yum!!! I made this yesterday and it came out great!! It was sooo easy to do. 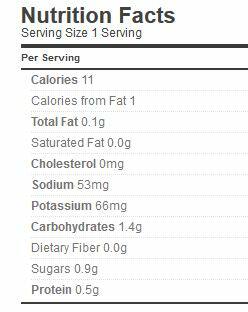 I used liquid sucralose for the sweetener in it. It has such a complex flavor. It’s much better than any commercial product. Ty! !